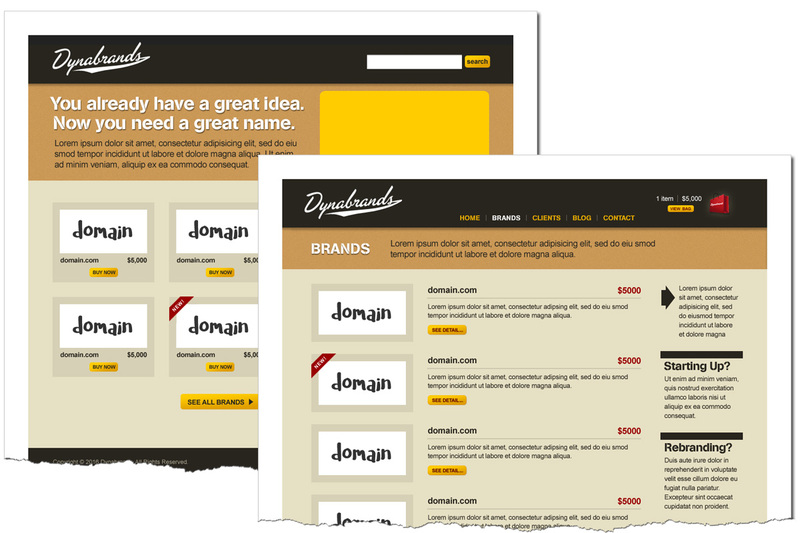 Dynabrands was a new company that needed an online storefront to merchandise and sell its products: pre-made company names, product names and domain names targeting startups, existing business owners and domain investors. 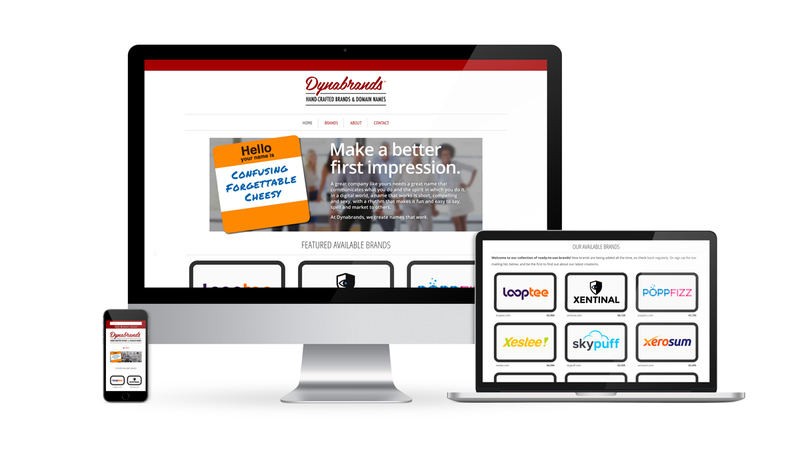 The site is intended to eventually function as the home of an agency to take on custom naming projects and clients. As Creative Director for this company, my responsibilities include oversight of all creative work, including development of names and execution of branding projects as well as design and maintenance of the web storefront. I conduct research into trending industries and keywords and provide creative direction for logo designers, in addition to designing some of the logos myself. I also write most brand descriptions and promotional copy. The spectrum of potential brand/domain buyers is broad, so I developed a suite of personas to help keep the perspective of each in focus. 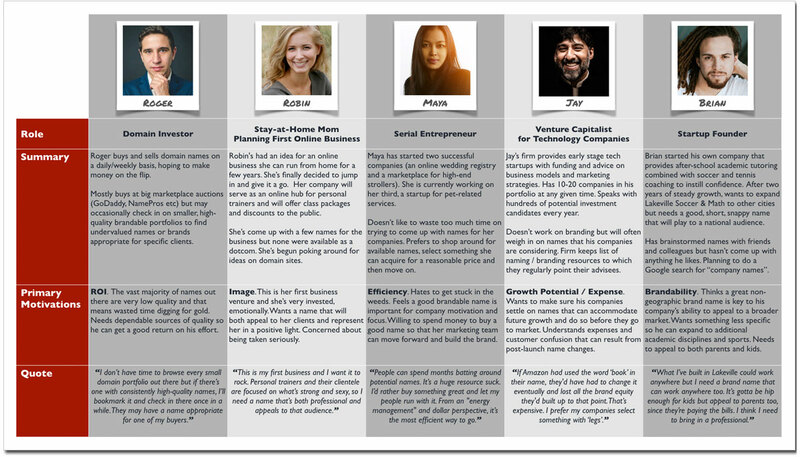 User types were distilled from articles, web forums, blog posts and other industry sites. This early site map was one of the first artifacts created to sketch out the general structure of the Dynabrands site. As the project evolved, some changes were made but the overall plan remained mostly intact. The following design sketches were done early in the project. The goal at the time was to give the firm a rough, utilitarian, industrial feel. As the project progressed, it became clear that the site needed a more subtle design that would allow the company’s products (brand names and logos) to take center stage. This led to a cleaner, lighter approach. I simplified the palette, using a white background and a single iconic brand color and employed a lean, condensed geometric typeface. The resulting design maintains the original shop structure while providing a more neutral field that no longer competes with the items available for sale. To align with this product-first approach, I updated the logo treatment as well. The new logo sits back a bit — again, to give more prominence to the product. It combines an industrial feel with the romance of American aerospace firms of the 1940s and 50s (the original inspiration for the company name). The wordmark links the brand to an era of individual engineers and craftsmen creating cutting edge products for a burgeoning technological age. We felt this treatment captured both the mission of the company and the entrepreneurial startup environment of its target market. 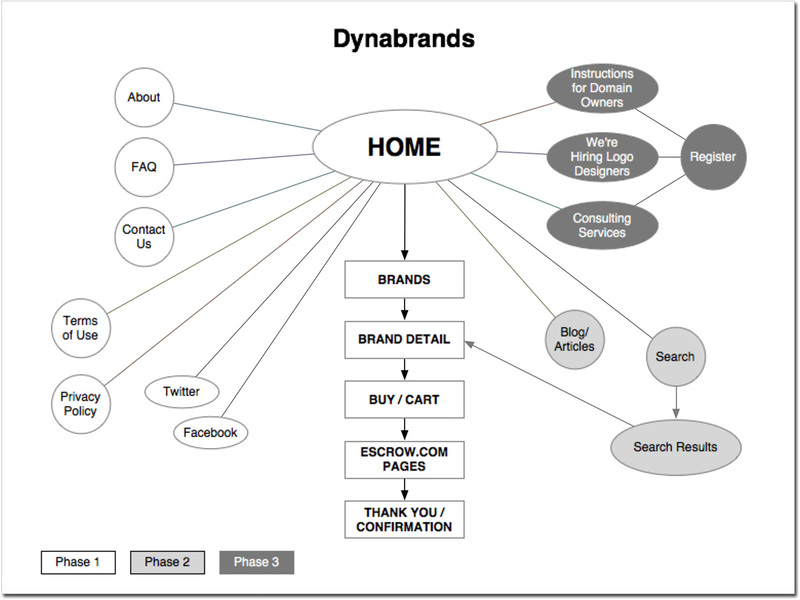 Successful launch of new Dynabrands site into market. This boutique naming firm creates company and product names for startups and organizations in a range of industries.